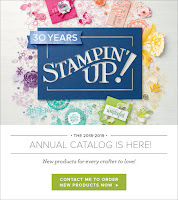 I could not wait to get my hands on this FLIP CARD thinlit die from Stampin' Up. If you have never seen how they work, you must watch this video. A flat picture of one just does not do it justice. Check out this you tube video to see how cool these flip cards are in action! 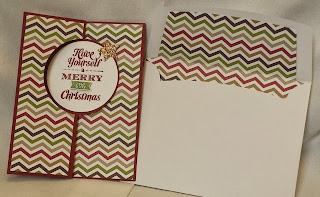 Don't forget the snazzy envelope liner! 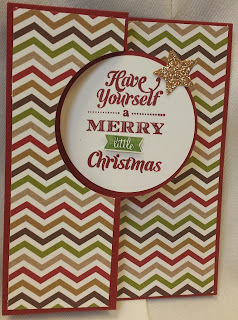 Stamp sets: Merry Little Christmas, Color Me Christmas, Oh Goodie! Cut cherry cobbler base with circle card thinlit die. Cut designer paper with thinlit and trim edges a bit to layer on top of base. 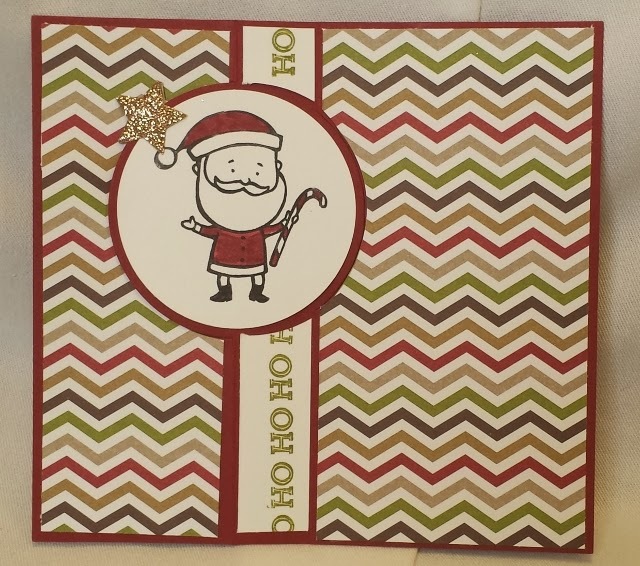 Color stamp with red and green markers, stamp on white paper and punch with circle punch. Cut two gold stars with thinlit die. Color and stamp the "little" part of the "Have yourself.." on white, cut out and trim to place on the white circle for a little extra flair! 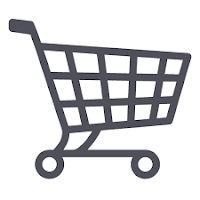 adhere to front circle of card. Stamp santa in black on white card stock. Color with markers. 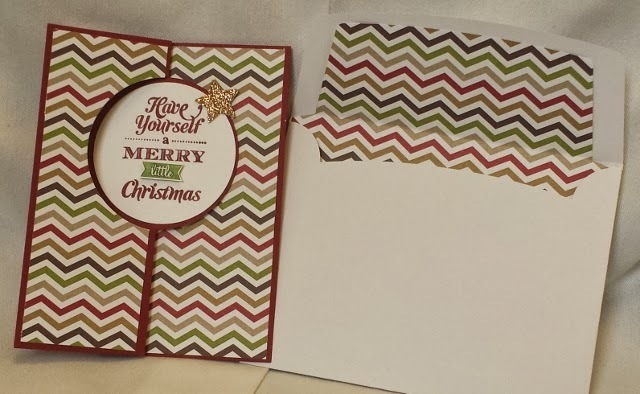 Punch with 2 1/2" circle punch and adhere to flip side of card. 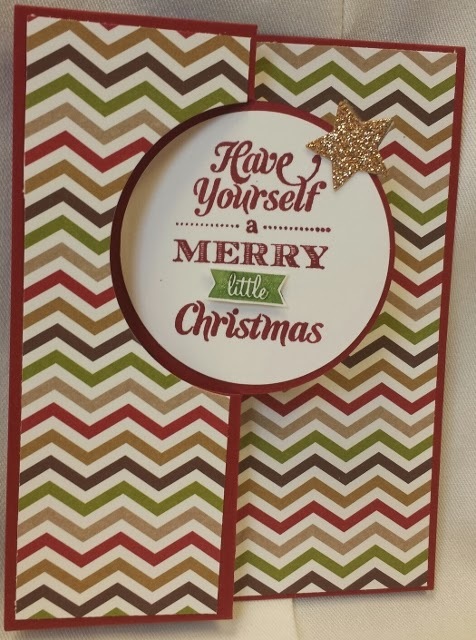 Attach stars to card and to each other with glue dots so the white backs do not show. 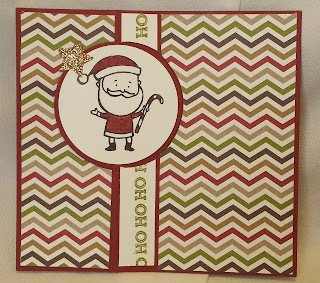 Stamp "ho ho ho" on white strip of cardstock and adhere to base with snail adhesive. Cut envelope liner with thinlit. Adhere with snail adhesive.